Over the last few months, I have had the chance to work with several new clients all in a location based service business. These include an Auto Repair Shop, House Painter, and Window Contractor. When building their new websites, one thing became very clear; most business do not build out their service pages! All three of these industries are very competitive online and companies spend major money on PPC and Adwords. It can be tough for some local websites to crack into the first two pages of search results quickly, that is unless you aggressively use white hat SEO tactics and create actionable content. 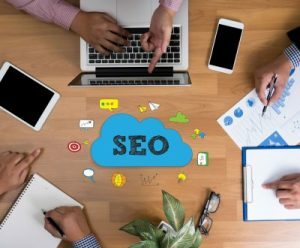 In this post, I want to focus on just one aspect of SEO for small business and that has to do with the vital ‘Services” page many websites use. 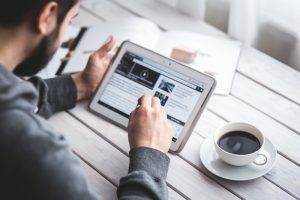 Obviously, you need to tell people who visit your website what you do and what you offer and most visitors expect to see that somewhere in the top level menu. How many times have you been on a website and the “Services” or About” page is just a bulleted list of basic services the company offers? I would bet very often! 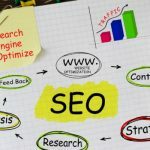 When a website does this, they are hamstringing their SEO efforts and limiting their chances to rank well for any of the offered services or specialties. One important thing to remember is how people have changed their “searching habits”. Years ago, when someone was looking for a local business, they usually typed in an actual website address. Remember when everyone used to buy 10, 20, or even 30 or more domain names and had multiple websites all hoping to capture business? Today, hardly anyone will type in the full website address, most people just type in what they are looking for, where they are looking for something, or just the company name. You domain name is not nearly as important as it used to be. What is important today is having the correct keywords and phrases that match what is being searched. What does this mean? Today any page on your site can be an entryway point into your website. Your home page is not always the first page a visitor will see when getting to your website, so it is important that each page is built correctly, optimized for search engines, and focused on conversions. When talking about your individual service pages, all of this is even more vital because that page has the ability to outrank other pages on your site or competitor website for that location. You can take my own website as a case study. 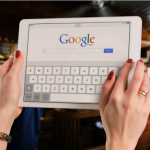 I target new business for SEO in Charleston, if you were to Google “Charleston SEO”, my landing / service page that was built specifically for Charleston Search Engine Optimization will show up very high in search results, but my homepage is nowhere to be found. This is for two reasons. One, my geo-location page is built around the search phrase “Charleston SEO Firm”, and the entire page from keywords, title tags, videos, and all the pictures are focused on SEO in Charleston South Carolina. 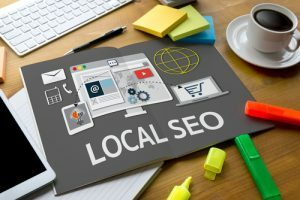 I have included an in depth guide on how local SEO works, links to examples, and so on. The entire page has been optimized with on-page and off-page signals for the location and phrase. The second reason it out ranks my homepage is I can’t over optimize my homepage only for one word or location, my homepage is an overview of what I do and how we work. When your website has all your services listed on one page, that page cannot be focused or optimized for one term. For example, if you are a painting contractor on Hilton Head, you need to separate your interior painting from your exterior painting and so on. You can still have a consolidated service page or menu page, but each item should lead to it’s own page and go into great detail on the who, what, and where of your business. Let’s look at some real world examples. Premium Construction is a remodeling contractor on Hilton Head Island. They specialize in kitchen renovations, bathroom renovation, and home remodeling. Their target location is Hilton Head Island, South Carolina. The first page we will look at is the consolidated service page. This page is to be expected by visitors as on overview of what is offered, what you do, and the scope of work your company can handle. It will list the general things or services. Here is there geo-focused service page: Hilton Head Kitchen Remodeling. As you can see the whole page is targeting potential customers who are searching for someone to remodel their kitchen. When we look at Fountain Painting, they are in an ultra competitive industry where many painting contractors just spend their way to phone calls on Google Adwords. A popular service they offer is Popcorn Ceiling Removal. Using aggressive local SEO, we optimized their appropriate service page to go after the more established companies offering the same service. Check out their Popcorn Removal Service. Title tags, content, pictures, and metadata are all set and targeted to Hilton Head Island. Go ahead and search yourself, I am sure they rank! Our last example is Holliday Home Improvement, they sell replacement windows from Charleston, SC to Savannah, GA. Again, a very competitive market that is loaded up with big names and a lot of franchises competing for the same business. After analyzing the top ranking replacement windows sites, we crafted a geo-targeted landing page to go head to head with the top 5 listings. 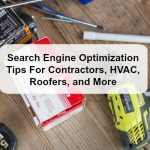 Our first order of business was to figure out the best long tail search phrase, then how to implement that into normal content without sounding like a robot. You can see the Window Company Landing Page here. Looking at your own website and realizing the amount of content and pages that need to be added can be overwhelming. Remember, tackle one page and service at a time, do it correctly from top to bottom, and break it up into stages. Having a perfectly optimized page is a better option than having a thin content, mismatched, or incorrect page any day of the week!